Highstreet Highlight: Debenhams Cushions . . .
Debenhams' homeware department is on fire at the moment where cushions are concerned. Here are some of my personal highlights from the current collection . . . 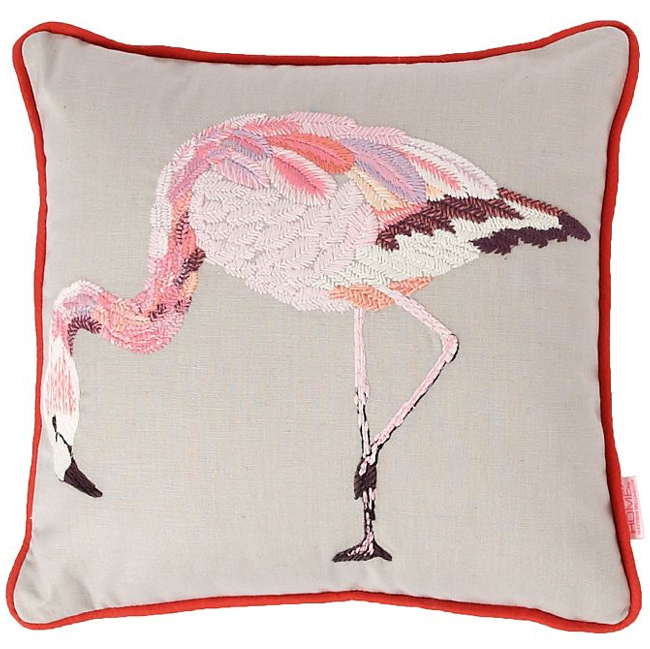 Above: Butterfly by Matthew Williamson 'Embroidered Flamingo Cushion'. Just look at the work on this beauty! Each strand of each feather carefully stitched in place - and all that work for just £20! I think that's an absolute bargain considering there's a simple, linen flamingo cushion going on Graham & Green for £80 at the moment. 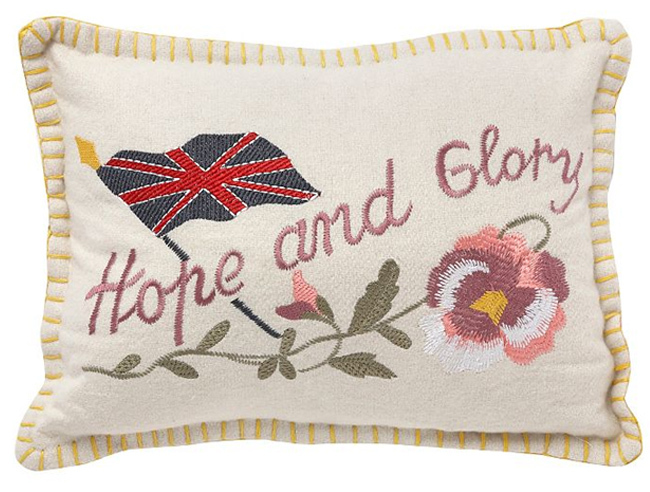 Above: Debenhams 'Hope & Glory Embroidered Cushion'. Again, I love the amount of work that's gone into this cushion compared to it's reasonable £25 price tag. But what I love most about this particular cushion is that it replicates World War One embroidered greetings cards. Generally known as 'WWI Embroidered Silks', these hand embroidered cards consisted of strips of hand embroidered silk mesh and were first produced in 1914 through 1918. They remain highly collectable items today - from what I've witnessed, often going for a fair bit on eBay and in antique shops. The cards often featured patriotic British, American and French designs and slogans - an element clearly present on the above cushion! 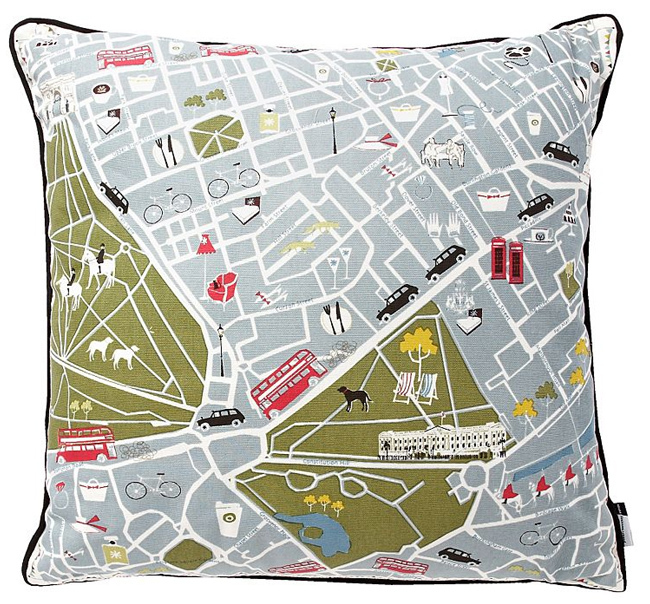 Above: Yukari Sweeney 'London Street Map Cushion'. At £35 this is the most expensive of my picks - but as London 2012 commemorative items go, I'd say it was one of the best I've seen.Again, it's full of detail - I could imagine curling up on the sofa and planning a London day out on it! And, you have to admit, the tiny taxis and buses are rather adorable . . .
Let Lily Know: Which of these cushions tickles your fancy the most? 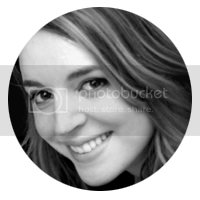 Don't forget to follow Lily on Facebook to keep up-to-date with the latest blog posts and news. Treasure Hunt: Lewes, Sussex . . . Haul: Lewes - A Right Royal Collection . . .
Highstreet Highlight: Ted Baker . 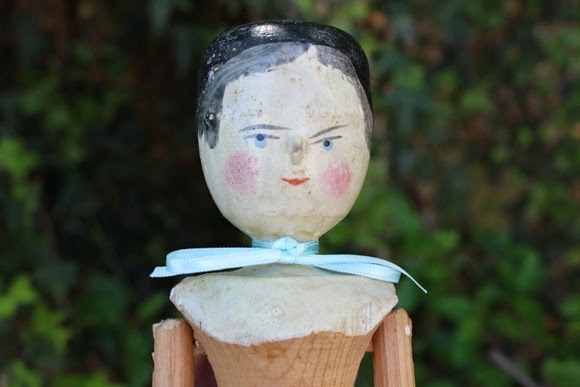 . .
Peg Dolls: Emily Pegdoll . . .